Powerful magnets and motor give stirring speed up to 1500rpm and volumes up to 15 litres *. Model CB161 has a glass ceramic top which has excellent chemical resistance. The chemical properties make the surface very easy to keep clean. 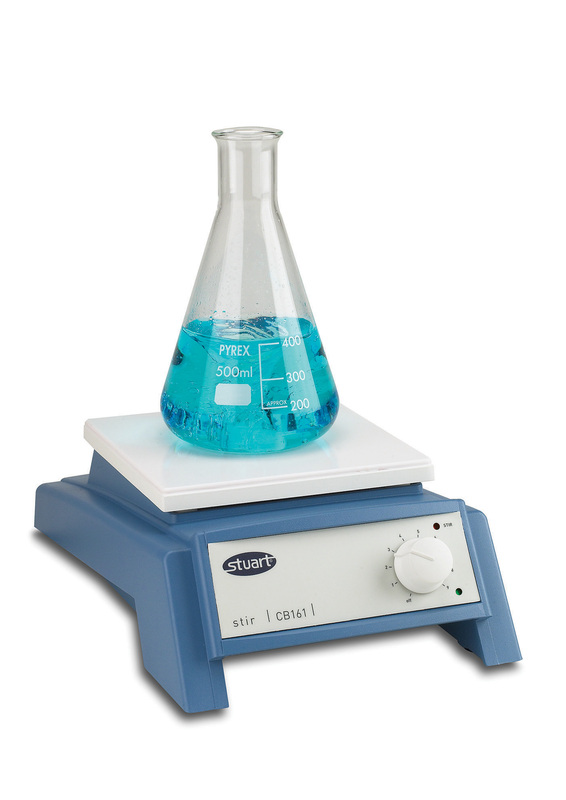 The white surface ensures good visibility of colour changes, during titration for example. Model SB161 has a robust stainless steel top plate that does not produce eddy currents like aluminium and so ensures a very powerful coupling and stirring action. With fitting for retort rod and supplied complete with 2 x 25mm PTFE coated stir bars.